Streeter was barred from performing because of her Black Lives Matter jersey. 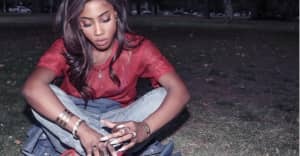 The Philadelphia 76ers have issued an official apology to Sevyn Streeter, after the singer was prevented from singing the National Anthem at their home opener on Wednesday. Streeter took to social media Wednesday night to explain that members of the organization had canceled her appearance just before the game because she had been wearing a jersey reading "We Matter." The apology still offers no specific explanation as to why Streeter was barred from performing, or whether her wardrobe was the deciding factor. In a statement made to the Associated Press earlier this week, the singer/songwriter said she was "extremely angry and disappointed," and that the incident "broke [her] heart." "I also felt it was important to express the ongoing challenges and ongoing injustice we face as a black community within the United States of America - that's very important to me," Streeter continued. "Yes, we live in the greatest country in the world but there are issues that we cannot ignore. This can't be ignored."